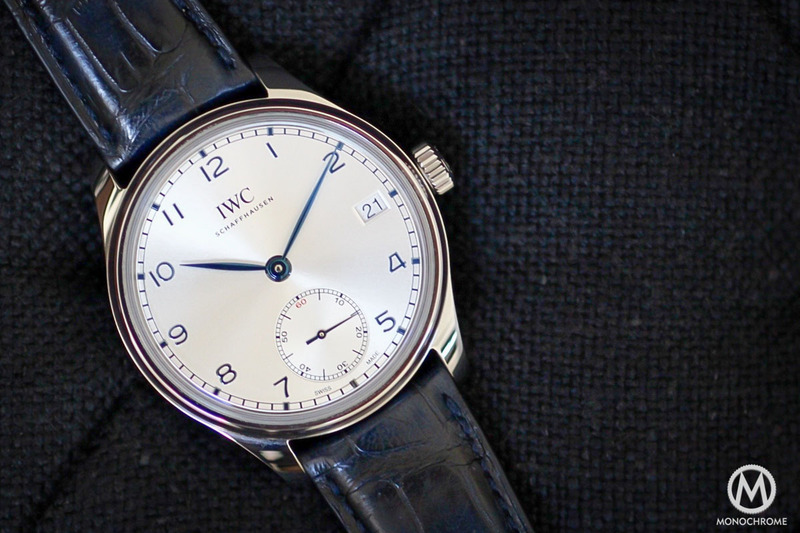 IWC is turning 150 next year. To mark the occasion, the Schaffhausen-based manufacturer is set to unveil a special Jubilee collection at SIHH, comprising 27 limited–edition watches from different collections. 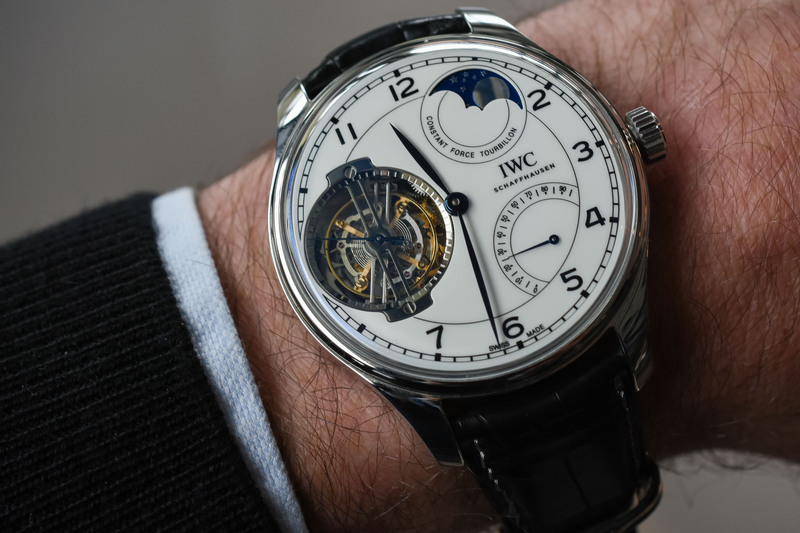 Among these and a bit prior to the Geneva-Watch-Fair, the new Portugieser Constant-Force Tourbillon Edition “150 Years” is the first IWC to combine a constant-force tourbillon with a single moon phase display that only needs to be adjusted by 1 day after 577.5 years. Here’s an early hands-on look at this beauty housing an impressive and highly-complex movement. 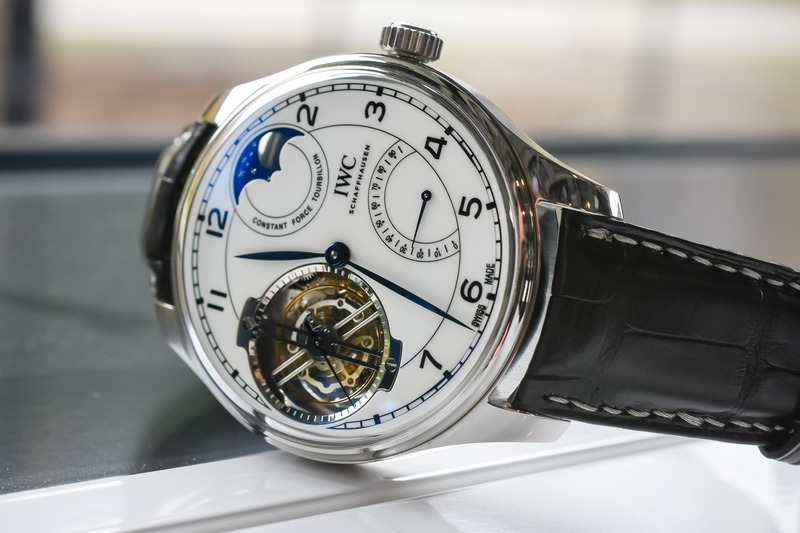 IWC celebrates 150 years which is no small feat. To mark this momentous milestone, the brand will unveil at SIHH 2018, a special jubilee collection with no less than 27 limited edition watches, all sharing common features, in particular white or blue lacquered dials (we had an exclusive preview… Some are just insanely desirable. Believe us, SIHH 2018 will make quite some collectors happy). These limited editions will be included in most collections, including the Portugieser, Portofino, Pilot’s Watches and Da Vinci families. 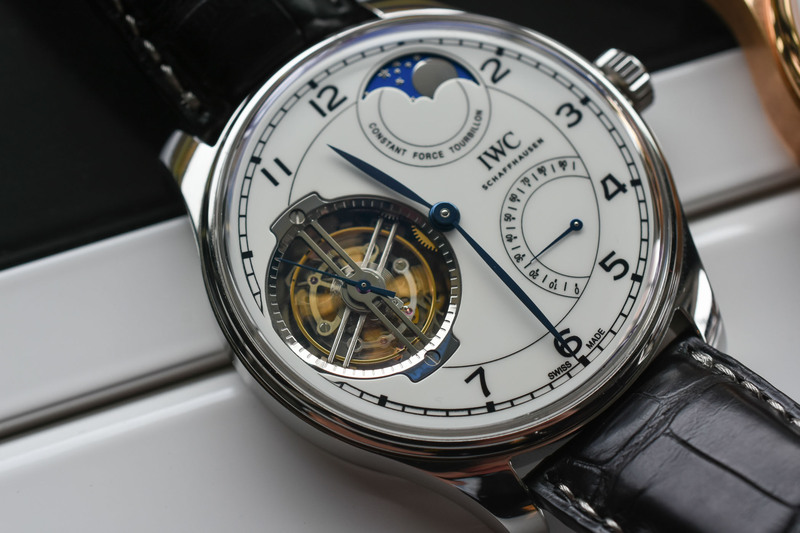 Among these is the IWC Portugieser Constant Force Tourbillon Edition 150 years. This 15-piece limited edition of the iconic Portugieser is fitted with the new calibre 94805. 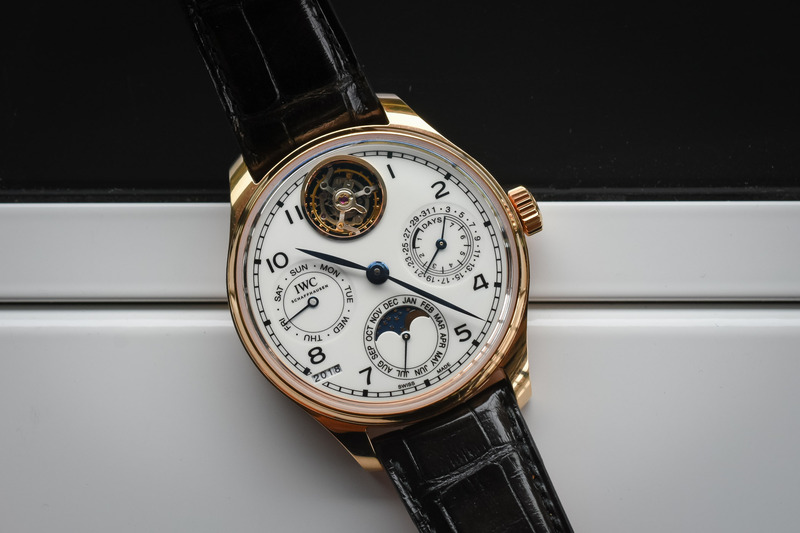 An evolution of the calibre 94800, it now features a highly precise single moon phase display (instead of the twin-moon indication that provided the age of the moon on both hemispheres), which only needs to be adjusted by one day after 577.5 years. 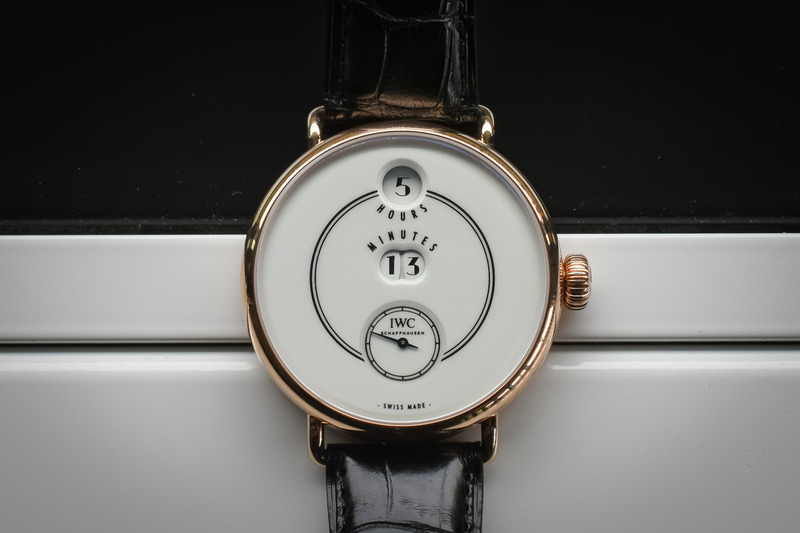 From the technical perspective, the movement integrates two mechanisms to improve chronometry and counteract against two of the main phenomena affecting the precision of watches: gravity and decreasing torque. First, the oversized tourbillon (at just 15.8mm in diameter…) at 9 aims at counteracting the negative effect of gravity. Operating at a classical frequency of 18,000 vibrations per hour, it is held under a thin openwork bridge. Secondly, this tourbillon is coupled with a constant force device to transmit even impulses to the oscillator. 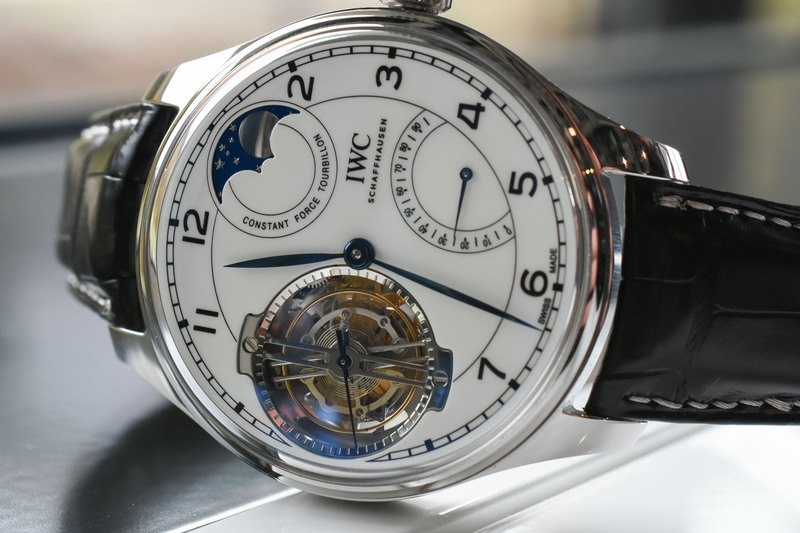 Constant force is a holy grail of watchmaking and chronometry. The varying driving force delivered to the regulating organ of watches affects their rate because balance wheels are not perfectly isochronous – isochronous means that the period of oscillation is independent of the amplitude of oscillations. 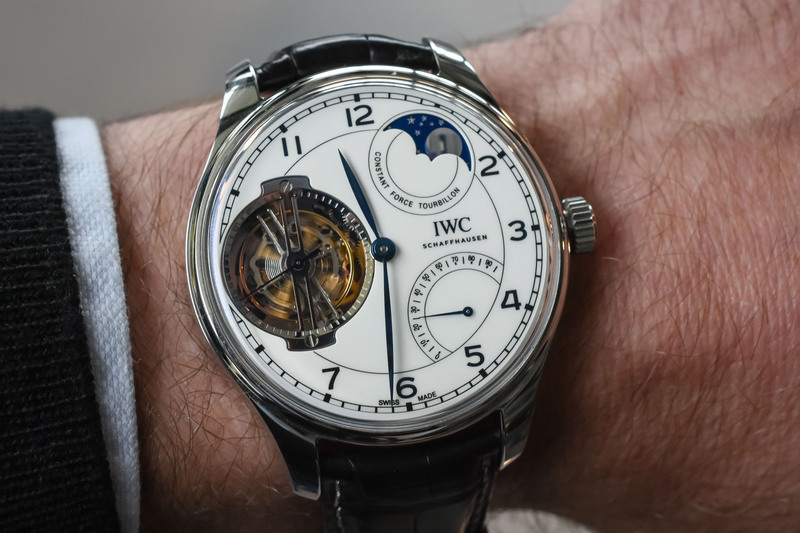 If various solutions have been designed, IWC opted for the integration of an additional escapement between the escape wheel and the fourth wheel. Every second, this winds a coiled spring that serves as a temporary energy storage and keeps the escape wheel driven with constant energy to power the balance. This mechanism has been integrated into the tourbillon and explains the unusual and discrete motion of the cage and second hand (one-second steps). To drive this large and highly complex constant-force tourbillon, the calibre 94805 uses two barrels to store up to 4 days of power reserve (48 hours in constant force mode). 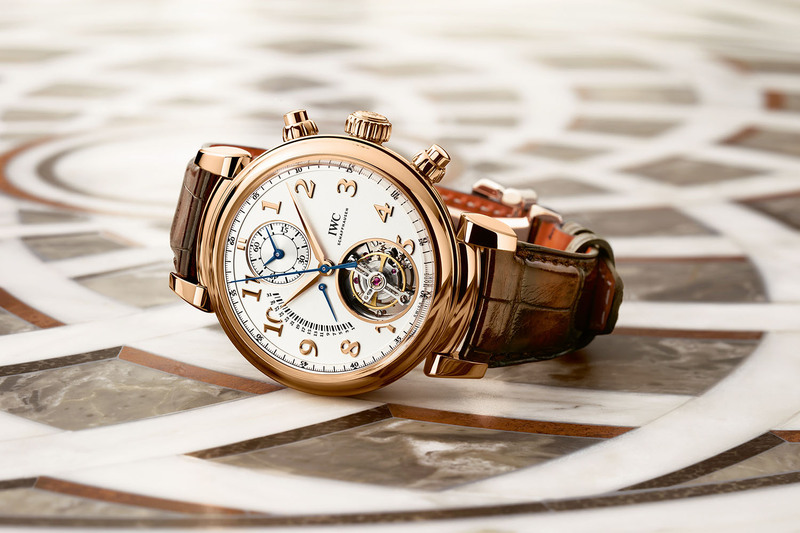 The Caliber 94805 features the “150 Year” Jubilee medallion in 18k gold set into the main plate, which is decorated with Geneva stripes. 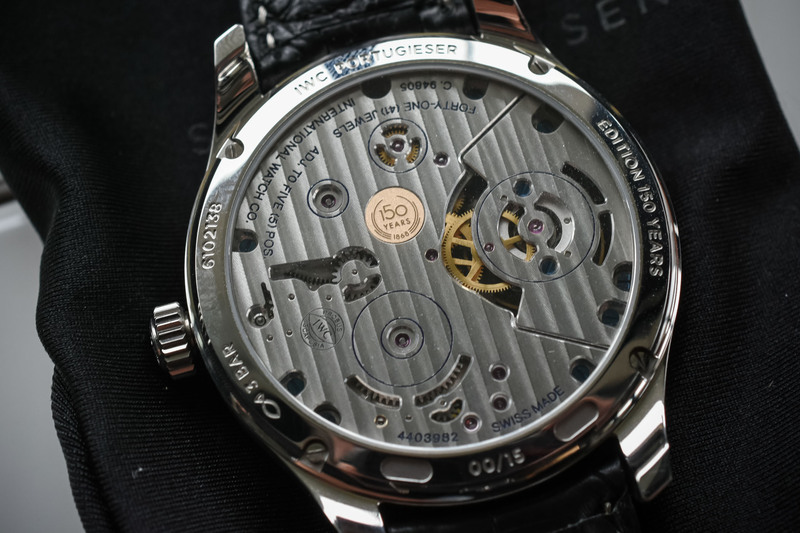 It is housed in the iconic Portugieser case that needs no introduction. 46 mm in diameter and relatively slim at 13 mm, it is fashioned out of the noblest of all metals, platinum. 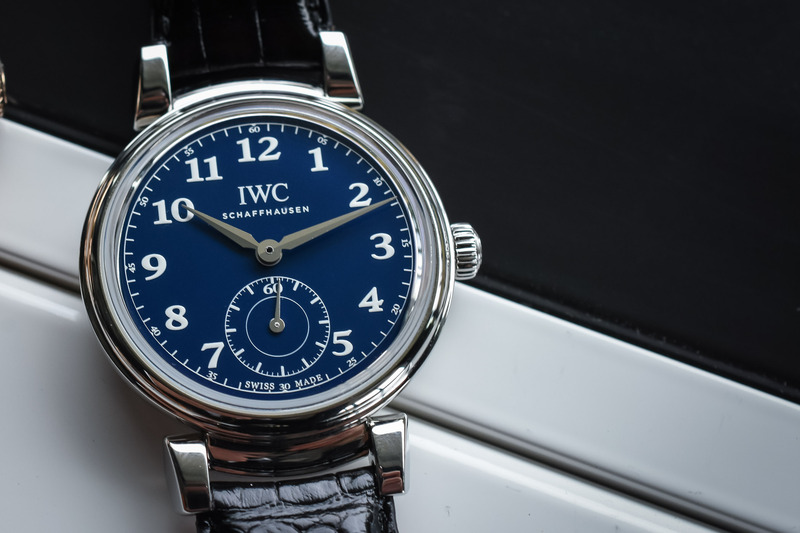 Under the arched edge sapphire glass, the white dial has a lacquered finish and black printed markings. It is paired with blued hands. The precise moon phase is displayed at 1 o’clock and the power reserve at 4 o’clock – a rather unusual yet balanced display. The IWC Portugieser Constant Force Tourbillon Edition 150 years is worn on a superb alligator leather strap made by Santoni. It is available in a limited edition of 15 pieces. Price is set at EUR 255,000. 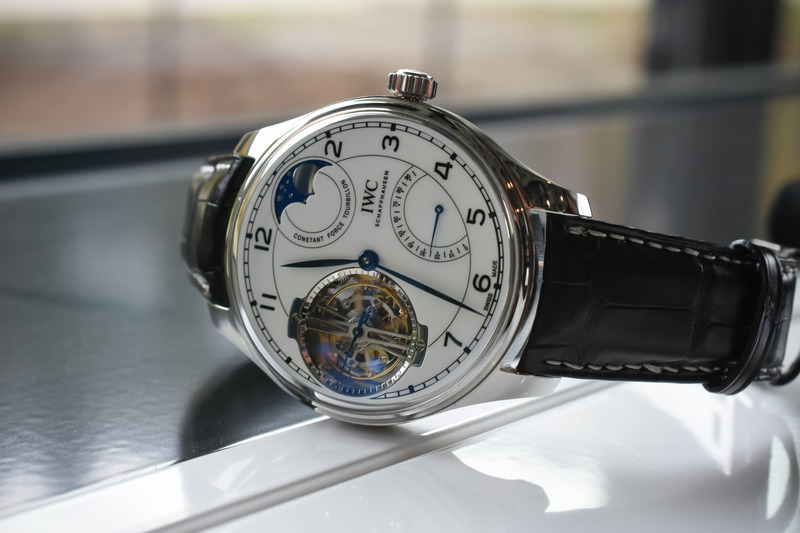 For more information about IWC watches, please visit www.iwc.com.